National Retail Federation (NRF) Convention and Expo – Cisco – Analysts are hailing 2016 as the best year for holiday sales growth since 2005. However, this growth is not coming from the traditional brick and mortar channel. Instead, Internet shoppers saved the holiday season by setting new records for online sales during Black Friday, Cyber Monday and Bounce back Tuesday. This has huge implications for the industry and for retailers’ 2017 technology plans. The multi-channel shopper is fueling a wave of digital disruption that threatens to put nearly half of retailer leaders out of business if they don’t transform themselves digitally. A new research report released today by Cisco, “Reinventing Retail: Cisco Reveals How Stores Can Surge Ahead on the Digital Transformation Journey” reveals that despite the risks, retailers around the world are moving too slowly when it comes to digital transformation and may not be investing in the right places. The holiday season’s choppy sales report and the recent closing of big box stores is just the beginning. 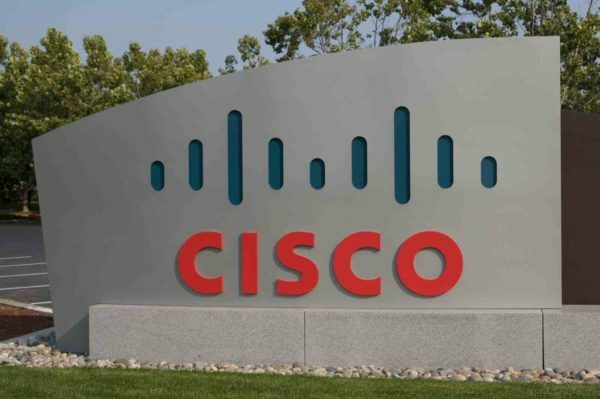 In an effort to help retailers achieve digital transformation, Cisco previously released a "A Roadmap to Digital Value in the Retail Industry,” which guides retailers through three phases: (1) Enable digital capabilities, (2) Differentiate their brand through new digital capabilities, and (3) Define new business models through digital disruption. To understand the progress retailers have made on that roadmap and in executing on their own digital transformation journeys, Cisco has spent the past 10 months facilitating in-depth workshops with more than 200 retail executives from North and South America and regions of Europe, representing brick-and-mortar retailers, e-commerce, apparel manufacturers, food service and other segments of retail. The new report reveals where they are on their journey to digital transformation, where they are currently prioritizing their digital technology investments and what they may not know about the flaws in their digitization strategies. Retailers are stuck in the early phase of the digital roadmap. Retailers’ digital investment priorities remain concentrated in the earliest, “Enable” phase of the roadmap (49 percent), which is focused on more mature IT technologies that enable existing capabilities and processes, IT agility and operational efficiency. Retailers are missing a $187 billion opportunity by not prioritizing investments in Employee Productivity. These technologies and use cases deliver the greatest value from digitization by increasing associate efficiency, optimizing the checkout and improving worker collaboration. Prioritizing investments in these areas not only improves operational productivity and associate effectiveness, but also contribute to improved shopper experiences and increased loyalty. Just 6 percent of retailers’ investment priorities are focused on Employee Productivity use cases, despite the fact that Cisco estimates that these use cases deliver the greatest return on investment for retailers. Retailers are not investing enough in the areas that create competitive differentiation and new revenue streams. Only 29 percent of retailers’ investment priorities are currently focused on the “Differentiate” phase and only 22 percent in the “Define” phase, the second and third phases of the roadmap, respectively. These are the more advanced phases of the roadmap, where retailers can differentiate their brand based on unique digital capabilities and services, or define new business models and revenue streams through digital disruption. These findings indicate that most retailers have not made enough progress when it comes to digital transformation and may be at risk of being out-performed by faster moving, more innovative retail ventures. Retailers are investing too much in customer experience. In contrast, retailers are prioritizing the majority of their digital technology investments in Customer Experience use cases (37 percent) that aim to improve personal engagement with consumers. While these use cases can deliver an estimated $91 billion in opportunity, overemphasizing their digital investments in Customer Experience use cases may limit retailers from getting the operational value they could from digital transformation of their business functions and workforce. Some sub-segments of the retail industry are making more progress on their path to digital transformation than others. New York-based apparel manufacturers and garment industry retailers have placed 58 percent of their digital investment priorities within the Differentiate and Define phases of the roadmap, compared with just 39 percent from the brick-and-mortar retailers, department stores and food service retailers that Cisco spoke with in the southern region of the U.S. Retailers in South America are prioritizing more of their technology investments in the earliest, Enable phase of the roadmap (67 percent) compared with their counterparts in North America (51 percent), indicating that South American retailers have not made as much progress in transforming themselves digitally. This may be due to economic conditions in South America causing retailers there to invest first in digitization of facilities, energy and other operational functions that help lower costs and free up capital.